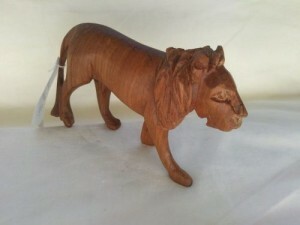 Hand carved wooden gorilla from Kenya, Africa. 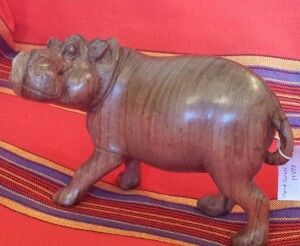 Tags: Fair Trade, Hand Carved, made in africa, made in Kenya, Wooden gorilla. 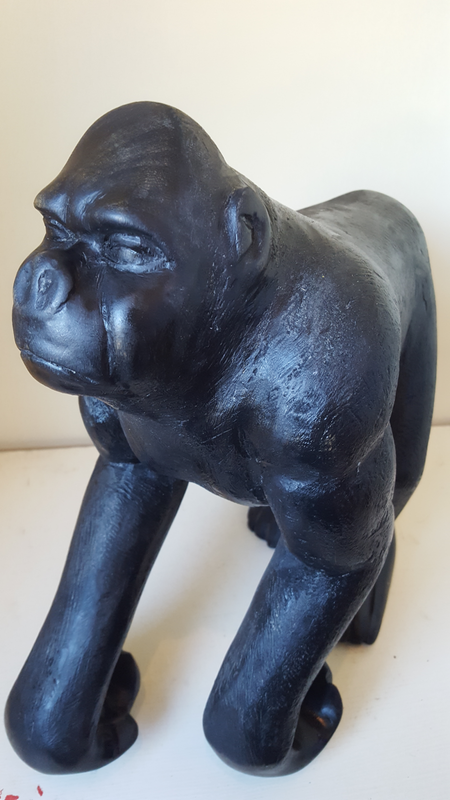 This beautiful hand carved wooden Gorilla measures 13” tall x14” long x 6.5” wide at the shoulders. 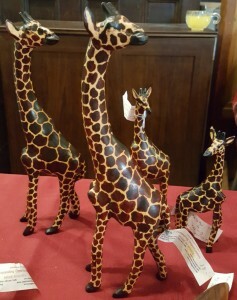 Its back, shoulders and legs are carved in a way that make the wood look textured. If you look closely at its shoulders you will see how he used his knife to make that particular design. 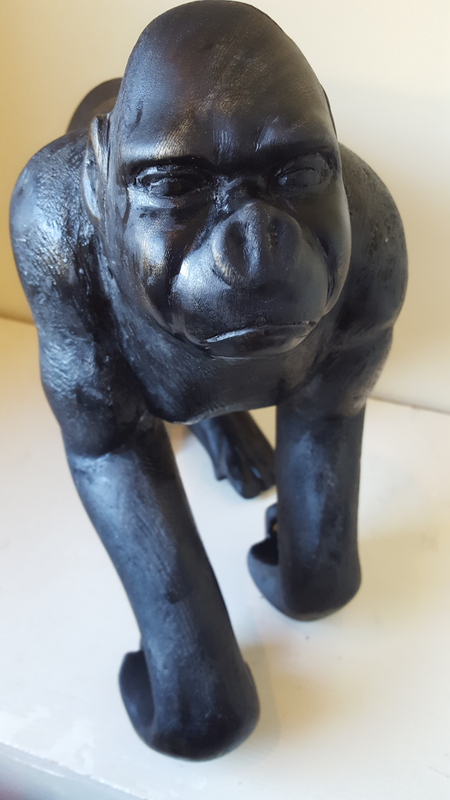 This beautiful wooden gorilla will add beauty to any room. It is one of a kind. 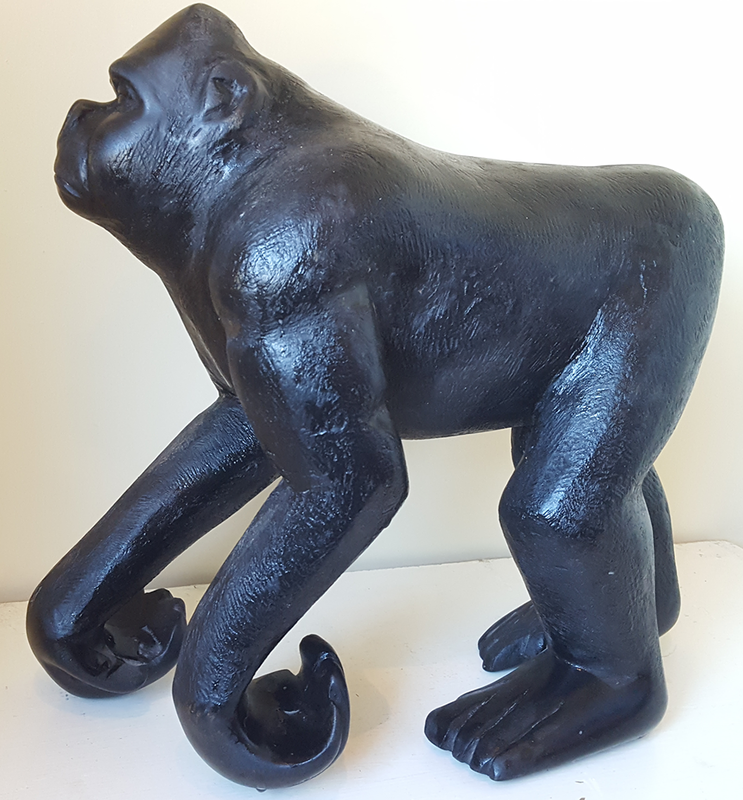 This wooden gorilla was carved by one of Expanding Opportunities Artistians, Jackson Nymani, who passed away. 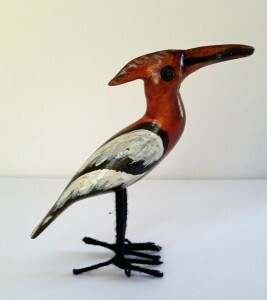 We have limited pieces left of his beautiful work.